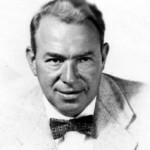 A Tribute to Yip Harburg: The Man Who Put the Rainbow in The Wizard of Oz. This interview of Ernie Harburg by Amy Goodman of Democracy Now (heard on Pacifica Radio and seen on independent TV stations) was first broadcast in 1996. In 2003 the Democracy Now producers added images to the interview and have been presenting it on TV every holiday season. Click here to listen or view online or ro read a transcript.